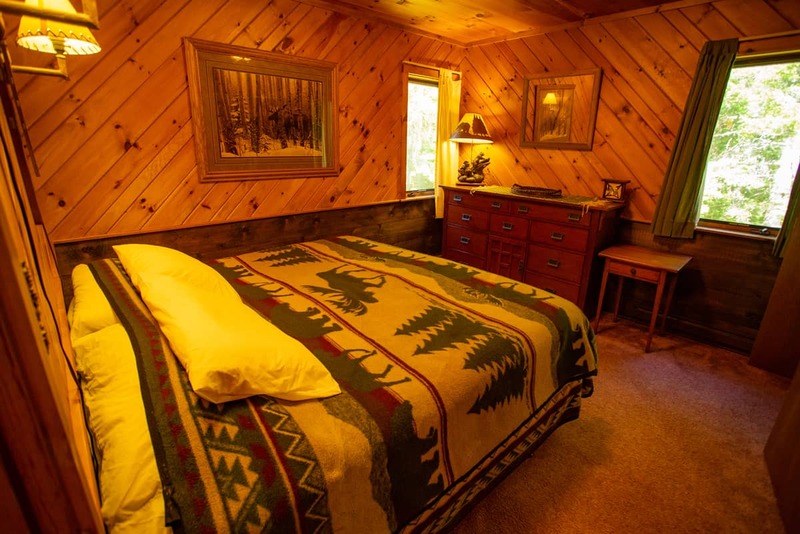 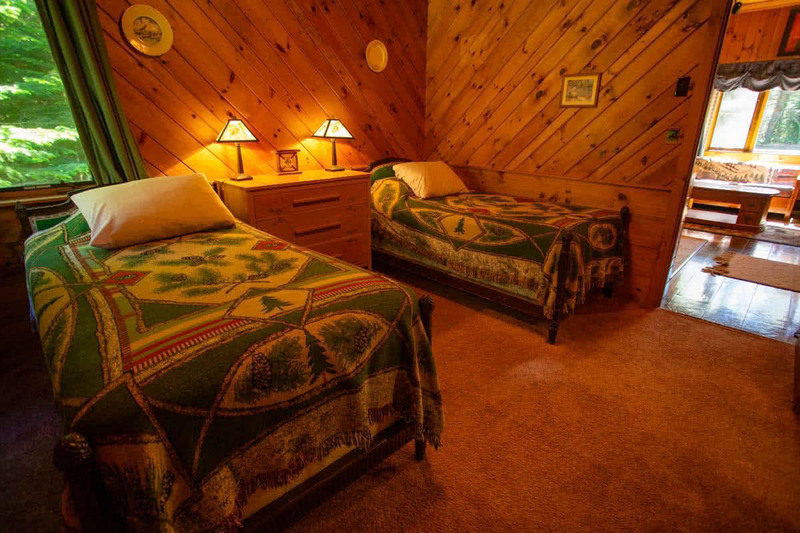 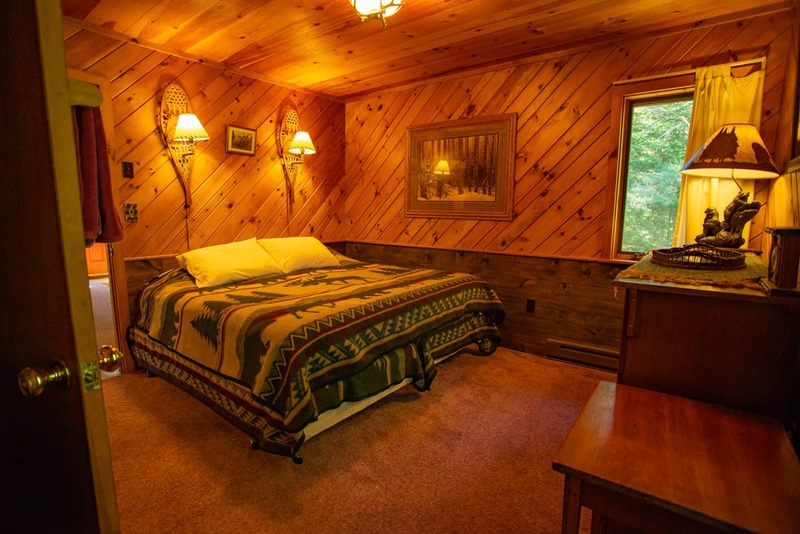 The April Melody Chalet is the sister cabin to November Moon. 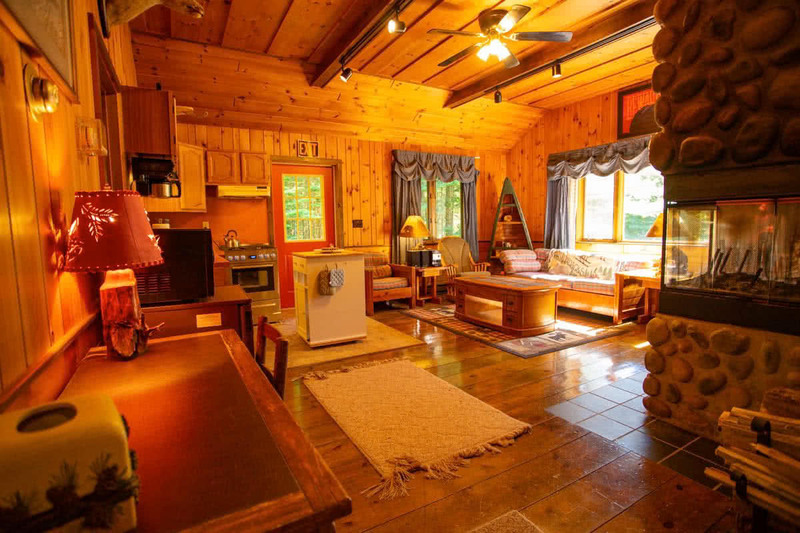 It features two bedrooms, a beautiful floor-to-ceiling wood-burning fireplace, and kitchen. 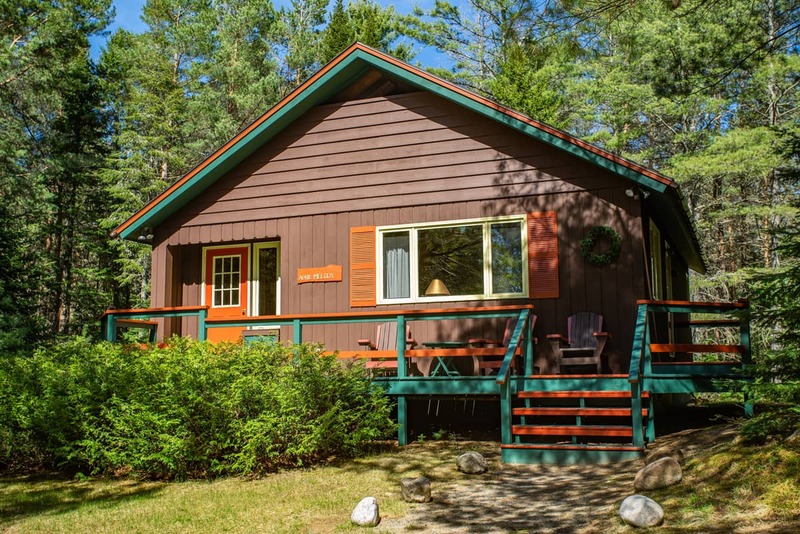 The sister chalet to November Moon designed by Cathy Fisher Hohmeyer’s father, one of the Adirondack Park’s famous craftsmen who built many of the area’s Great Camps. 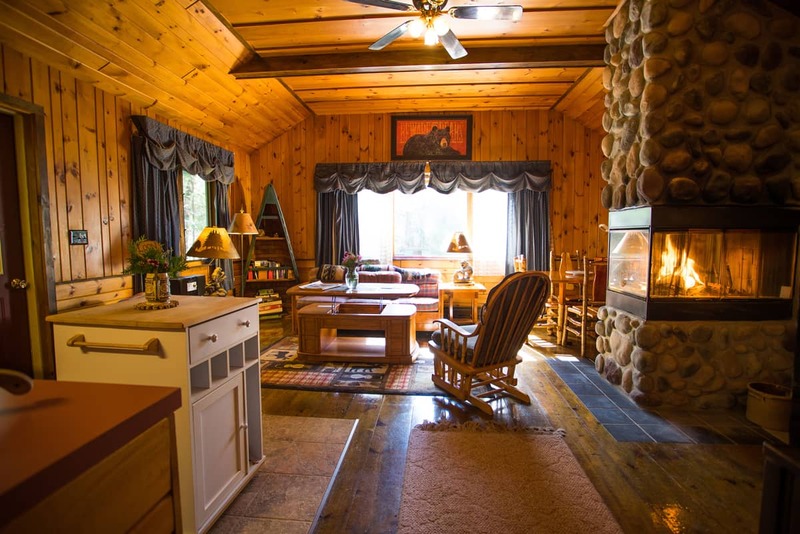 A beautiful stone fireplace is center stage in this two-bedroom chalet that sleeps 2-4. 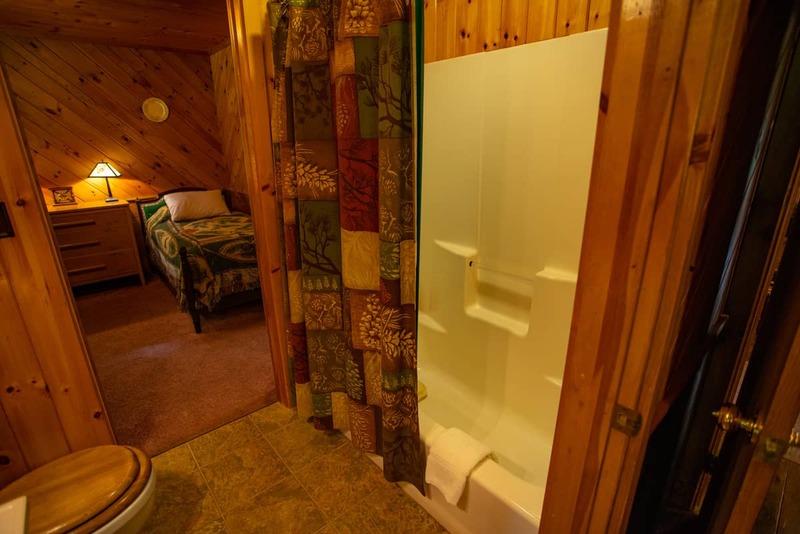 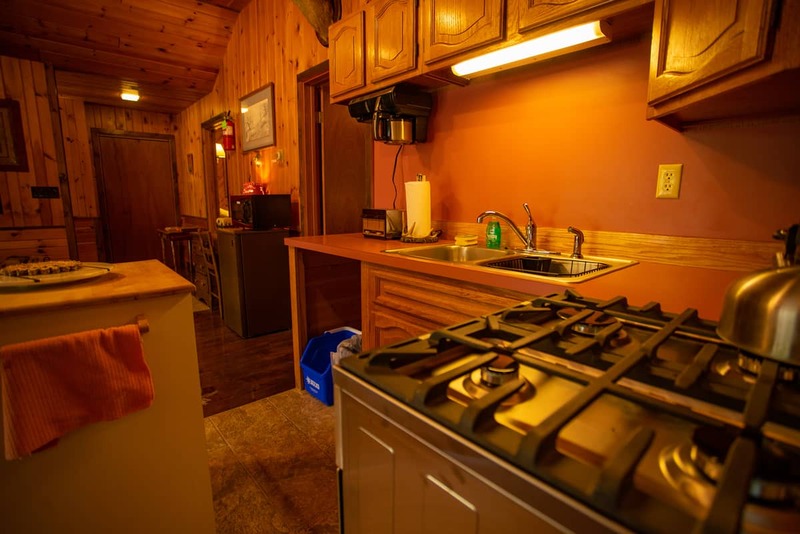 A kitchenette and expansive deck are surrounded by our nature trails. 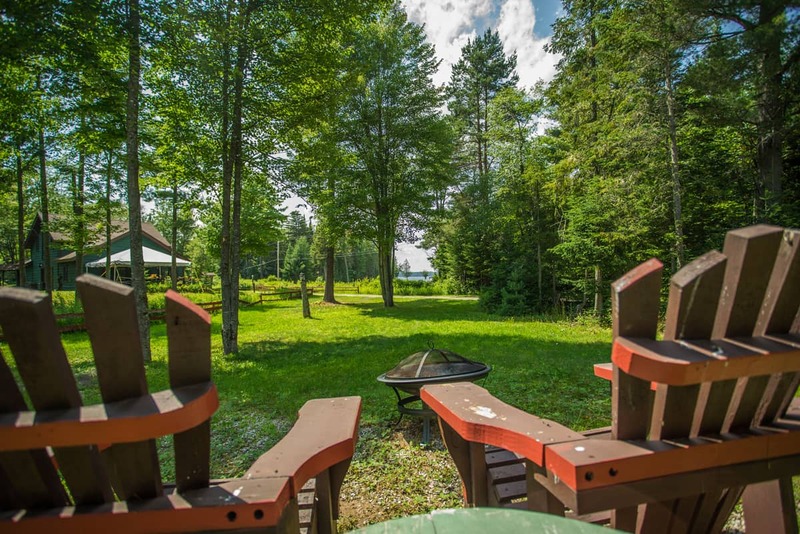 April Melody gained its namesake completed on the first spring day in April, when we first heard the return of the loons.